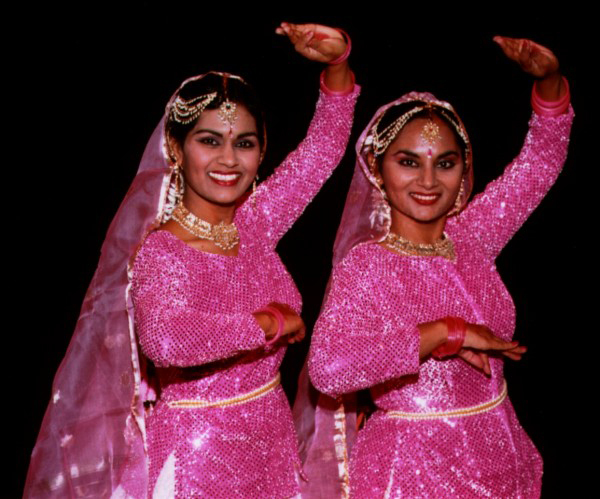 Crishna and Camilita are two trained Indian dancers based in London. They have participated in numerous dance and music festivals and have given solo performances in many theatres and art centres in UK and abroad. Crishna and Camilita are the ideal act for themed and corporate evenings where a level of sophistication is required. Their main appeal is to clients seeking to intrigue their guests with Eastern / Bollywood evenings as they are trained in the classical dance styles including Kathak, but Bollywood and Bhangra styles can also be featured. The dancers can perform with recorded music or bring along a live Dhol drummer or two, budget permitting. Crishna and Camilita’s successes include performing at the wedding reception of Spice Girl Mel B, Cafe Royal, The Dorchester, Claridges, Mayfair Theatre, the South Bank Centre and for the legendary Asha Bhosle at Wembley Arena. They have also entertained in Spain, Switzerland, Canada and the USA. The girls come from a musical family and often perform with their father Chim who is a trained sitar player, offering solo sitar, sitar and tabla duo, or a trio with tampura.